As a homeowner, you always want to make sure your home is safe. One threat that is always a possibility is a house fire. Here are five fire safety tips for the home that you can start practicing today. 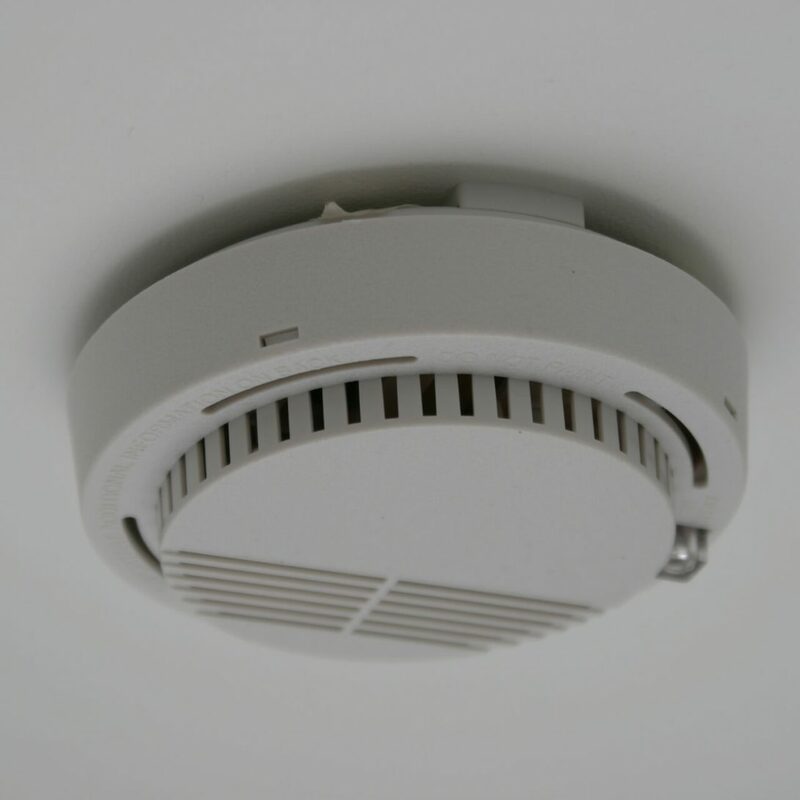 Make sure you have placed fire detectors in different areas around your home. If you have a multi-level home, make sure you have at least one sensor on each level. Also, test the alarms regularly to make sure they are working correctly and the batteries are charged. Being proactive is one of the easiest fire safety tips for the home. Check any baseboards, space heaters, and fireplaces to make sure no flammable items are nearby. Inspect around electrical outlets from your television and other electronics to check for frayed wires that could spark a flame. Never leave a candle burning unattended, even if it’s only for a few minutes. Did you know the kitchen is a prime location where most house fires start? Always practice safe cooking habits while you’re in the kitchen. Here are four good habits to practice in the kitchen. 1. Keep the stove top clean at all times. A buildup of oil and grease can create conditions for a grease fire. 2. Watch your cooking temperatures. Don’t use overly high heat when it isn’t necessary. 3. Wear short sleeves. You’re busy in the kitchen, so it can be easy to overlook your clothing going right over a flame. 4. Always having a fire extinguisher accessible in the kitchen. A fire can wreak havoc in a matter of minutes. Your family should be prepared with an escape plan to exit the home quickly. When a dangerous situation occurs, you’ll be less likely to panic if you have an established escape route. Knowing the escape plan is one of the best fire safety tips for the home. Do you ever think that a fire could never happen to you? 75% of all structure fires occur in homes. Don’t overlook a few of these other fire safety tips. Understand how to use a fire extinguisher. Train your children on proper fire safety. Have your home inspected once a year. These fire safety tips for the home can be easily implemented on a daily basis. Use these strategies for a safer household. Spot On Inspection serves Houston and the surrounding area with home inspection services. Contact us to book an appointment.